It has been a big year for gender equality, both literally and figuratively. ‘Feminism’ was voted the word of the year by Merriam-Webster: the most searched word on their website. Boo yah. The historical ‘yes’ vote for equal love gave Australians something to be proud of. Pink and purple seas of women and men alike dominated the streets in the culmination of women’s marches that surrounded International Women’s Day. The explosion of #MeToo in the wake of the Weinstein allegations harnessed global recognition of the magnitude of the problem of sexual assault and violence faced by so many women. Lidia Thorpe, standing for the Greens, became the first Indigenous woman to be elected to the Victorian Parliament. And last but not least, we saw the first season of the women’s AFL league commence in February. However, women are still far from achieving an even playing field. This has to change. Whilst sexism, underrepresentation, pay inequity, and the undervaluing of unpaid labour (or labours of love, as Bea Campbell calls it) continue, so must we continue to fight for equality. 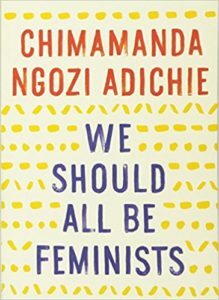 Chimamanda Ngozi Adichie’s adaption of her TEDx talk of the same name, We Should All Be Feminists, is a rallying cry of why gender equality is critical to reducing the harm that gender stereotypes cause to both women and men. If you’ve ever been ‘mansplained’ to, which I am almost certain that you all have, the collection of essays by Rebecca Solnit, titled Men Explain Things to Me, is a relatable and persuasive read. Fiercely confronting crime against women and the oh-so-frequent silencing of women’s voices in all walks of life. Rebecca talks male power, privilege and violence in this personal revolt. And if you haven’t read it already, don’t miss Clementine Ford’s Fight Like a Girl. The bold and factual piece reminds us that it is necessary, and totally okay to be angry, given the persistent discrimination and marginalisation we encounter in our everyday lives. Don’t forget to sink your teeth into some powerful and compelling feminist poetry. Canadian poet Rupi Kaur’s recently published The Sun and Her Flowers is a good starting point with an accessible, fluid style that explores the various struggles of femininity and relationships. Furthermore, If you haven’t already explored the works of Indigenous Australian poet, Ali Cobby Eckermann, you simply must. Ellen Van Neerven’s Comfort Food and Alison Whittaker’s Lemons in the Chicken Wire are also some exceptional poetry. 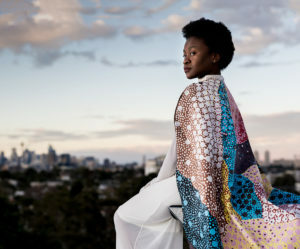 Songwriter and visual artist, Sampa the Great, delivers poetic flows and mindful expressions through her music, simultaneously exploring social issues and empowering many of her listeners. Born in Sampa Tembo in Zambia and moving to Sydney as a young adult, she quickly established herself within the hip-hop scene. Her most recent album Birds And The BEE9 is sure to give you goosebumps. Her latest and self titled fourth album, recorded in the greens of Gippsland, is a brave and emotive piece exploring the struggles that come with distance, both literal and metaphorical. 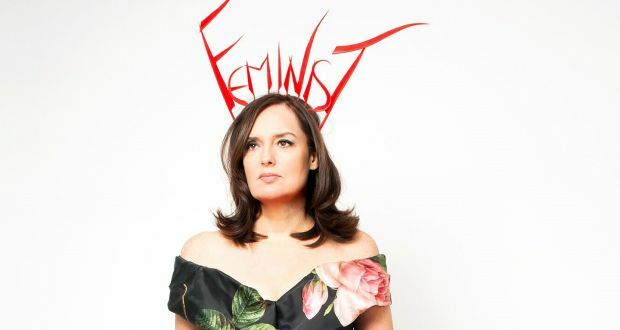 Continuously witty, brutally honest and with politically charged lyrics, Jen remains one of Australia’s most important artists today. Sydney born rapper Kimchi Princi references stuff we can all relate to: annoying boys, hanging out with friends and dressing up, alongside tackling issues such as the lack of female artist representation in festival lineups (see song Boys Boys Boys). Loud and unforgiving, Kimchi Princi has got it going on. Indie rock trio Camp Cope released their debut album in April 2016, combining uplifting and aching confessional storytelling, with honest and daring lyrics. They followed up this album by spearheading the campaign ‘It Takes One’ which aims to spread awareness and improve safety at live music gigs. They really do rock! Listen to some of their new album How to Socialise & Make Friends here. Made up of four compelling women and their voices, from the northern communities of Marlinja and Kulumindini, their modern sounds mix with ancient stories sung in both Mudburra and English language. Listen to their beautiful song Warmala (Young Girls Song) here. Perth born and based Stella Donnelly is also a woman to keep your eyes on. You can listen to her emotive track Boys Will Be Boys that deals with victim blaming here. For more ideas check out this list compiled by Jen Cloher that focuses on getting to know more Australian female musicians. Right now at the Australian Centre for Contemporary Art, Unfinished Business: Perspectives on Art and Feminism is a major exhibition focusing on the relationship between art and wider social change. Encompassing multiple forms of media, and the works of over 50 diverse artists, Unfinished Business explores the long standing impact feminism has had and the ways ideas have been shared, contested and discussed in circulation. With the earliest works dating back to the 1970s, the exhibition focuses on representation of the body, intersectional politics and analysis of gender identity – essentially concluding the feminist journey is unfinished – there is still a way to go. A must see. Swiss artist Pipilotti Rist explores the relationship between nature, the body and technology through the incorporation of video and sculpture in her exhibition Sip my Ocean. Brilliantly colourful, saturated with kaleidoscopic projections that will plunge you into a full-body experience. Do not miss one of her largest and most comprehensive works ever to be shown in Australia, exclusive to the Museum of Contemporary Art, Sydney. Japanese artist Yayoi Kusama’s exhibition Life is the Heart of A Rainbow offers an immersive and interactive once-in-a-lifetime experience that erupts with unique forms and her conceptions of space from a vast body of works since the 1950s. This international phenomenon can be viewed exclusively at the Queensland Art Gallery/Gallery of Modern Art. 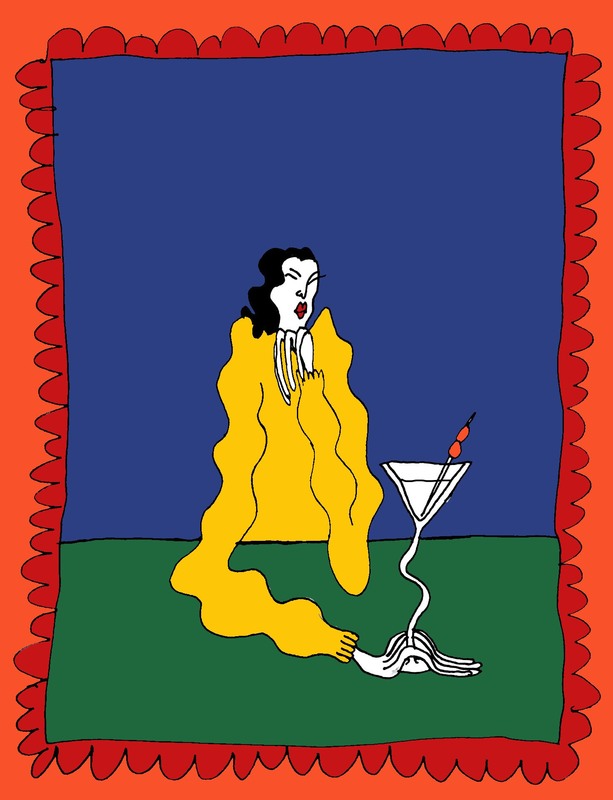 Some other great exhibitions include Marimekko at the Bendigo Art Gallery, Del Kathryn Barton The Highway Is A Disco at the National Gallery of Victoria and performance artist Angelica Mesiti at the National Gallery of Australia. 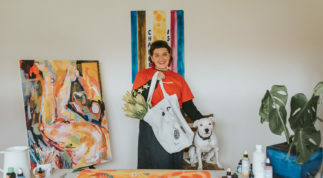 And if you’re into wearable art, check out our ethical tote bag collab with young Melbourne artist Frances Cannon. 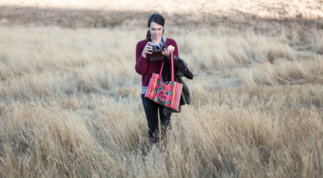 Every bag supports our work! Plus, they’re super cute. Take a look. Start following some feminist accounts on Instagram to get frequent posts about important issues relating to women, by women. 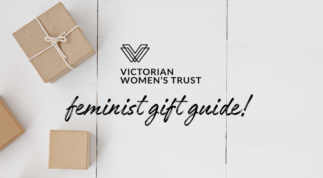 Some favourites include: @rosierespect, @feministvoice, @vicwomenstrust (that’s us! ), @thesydneyfeminists, @femandist_films, @ywcavictoria, and @feministastic. Subscribe to some feminist websites where you can hear about the issues that involve women and girls, from the voices of women and girls. For example: Everyday Feminism, B*tch Media, Femsplain, and don’t forget to subscribe to the VWT newsletter. Black Girl Dangerous; a platform for the voices of queer and trans women of colour. Avoid the curse of the male gaze in the months of summer by opting for films directed by and starring women. Set up a projector and invite your friends over. 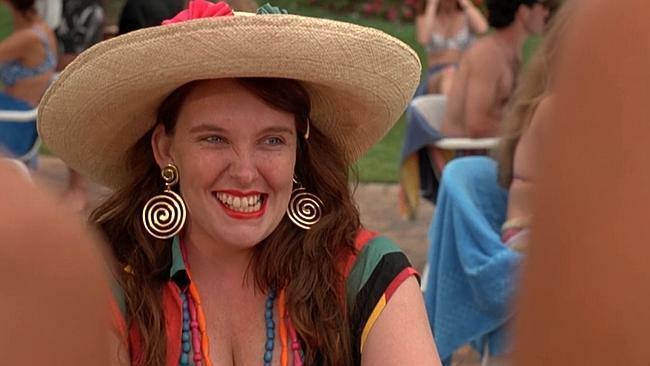 Some classics: Thelma and Louise, Miss Representation, Whale Rider, Real Women Have Curves, Daughters of the Dust (first independent film directed by an African American female producer) or one of our faves, Muriel’s Wedding. Join a local sports team! Women’s footy continues to grow in popularity, despite being a traditionally male-dominated sport. Kicking goals whilst breaking down gender stereotypes? Sounds kinda awesome. If contact sport is not your thing, yoga is a great alternative. Or get busy building something that is useful and enjoyable, such as a bookshelf for all your favourite reads! You can usually score cheap timber off cuts at your local hardware store, or keep your eye out for hard rubbish treasures. Rejecting rigid gendered stereotypes that say ‘building stuff’ is for men, whilst creating something valuable = a summer well spent. Along with these activities, keep promoting feminism in your everyday life. Try to engage in discussions about feminism – at your workplace, with your family, in social settings – and don’t be afraid to use the word feminist and attempt to call out sexism when you see it. Also try and take on the responsibility to teach, to question, and to mould any youngsters in your surroundings. Promote happy bodies when you head down to the beach. Don’t let anyone get away with belittling other women in your company. Instead, empower them and teach yourself how to love your body through practising self-care. Be good and kind—and enjoy the sunshine! 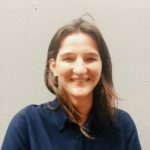 Alice is a volunteer at the Victorian Women’s Trust and an (almost) graduate from Melbourne University where she majors in Spanish and International Relations. When not fighting for gender equality, she spends her time obsessing over skinny dogs and eating quesadillas. Our fave feminist gifts this holiday season.